Become a member and access benefits such as discounted registration to the PSANZ Annual Congress, quarterly newsletter, investigator awards and more. Find out more about our subcommittees that provide forum for the discussion and presentation of specific aspects of perinatology relevant to the aims of PSANZ. Register to or find out more about our upcoming meetings and events, including the PSANZ Annual Congress, events organised by PSANZ’s subcommittees and more. Perinatology-related clinical guidelines to improve the health and long-term outcomes for mothers and babies and guide decision-making through evidence-based guidance. 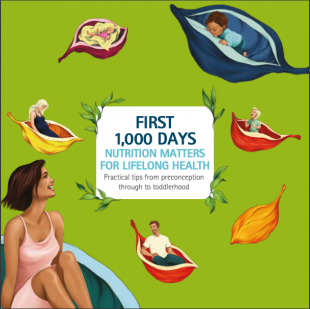 The Early Life Nutrition Coalition believes every child deserves the best possible start to life and is pleased to provide practical recommendations on how you can make the most of these first 1,000 days.